The Rebel Sweetheart. 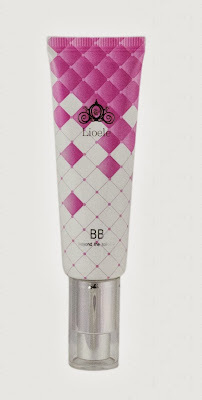 : Project BB Cream | Lioele Beyond the Solution BB Cream. Project BB Cream | Lioele Beyond the Solution BB Cream. One of the few things that I bought was this pouch sample of the Beyond the Solution BB Cream - one of the best-selling products from Lioele. Lioele Beyond the Solution BB Cream. This BB Cream comes in four sizes - the pouch sample which sells for Php50, the 5ml miniature tube at Php 250, the 30mL tube at Php 570, and the full-sized 50mL tube which sells for Php995. I decided to get the smallest size, since this will be my first time to use this product. As usual, everything is written in Hangul. For your reference, here's how the full-sized tube looks like. Don't you just love their uber cute packaging? The brand logo itself is very chic and stylish, and yes, it's reminiscent of Cinderella's carriage. Long-lasting BB cream - soothing and keeps skin smooth without sebum secretion. Helps to create a clean and natural skin tone by being absorbed into your skin with a soft usage. This enables speedy make-up application due to the unnecessary need to apply makeup base or foundation. I took note of the active ingredients found in this BB Cream and some of them are: squalene (hydrates and moisturizes the skin), jojoba oil (soothes the skin and fights skin irritation), macadamia nut oil (smoothens the skin), allantoin (moisturizes and protects the skin against irritants), marine collagen (makes the skin tight and firm), and hyauronic acid (keeps wrinkles at bay). Now here's how the BB Cream looks like. It comes in one shade only (natural beige), and while the product itself appears lighter than my skintone (as you can see on the back of my hand), I'm glad that it worked differently and adjusted to my skintone quite well when applied on my face. I've read reviews saying that this BB Cream leaves a grayish cast, but there was none based on my experience. Left without BB Cream; right with BB Cream. Beyond the Solution has a thick and creamy consistency similar to that of The Face Shop's Power Perfection BB Cream and Nature Republic's By Flower BB Cream. It gives medium to full coverage without feeling heavy on the skin and leaves it with a semi-matte finish. Its mild, floral scent on the other hand, reminds me of my favorite BB Cream from Missha. As for the wear time, this product stays put for a good eight hours without a primer on. When worn with a primer, I reckon this product can stay on my face for twelve hours, maybe even beyond. - Cute and stylish packaging. - Comes in four different sizes. - Easy to apply and blend. - Creamy texture, but doesn't feel heavy on the skin. - Gives medium to full coverage. Missha Under Eye Brightener, Hera HD Fix Powder. 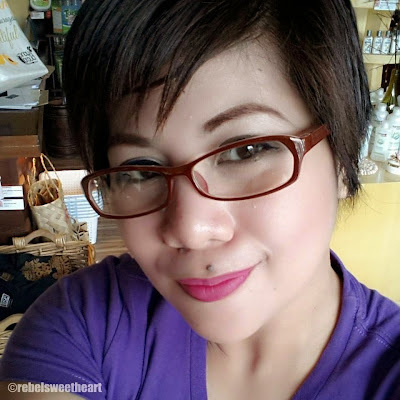 CHEEKS: Skin Food Sugar Cookie Blush in Bebe Pink. NYX Soft Matte Lip Cream in Addis Ababa. Lioele Beyond the Solution BB Cream and other Lioele products are now available at Lake Zen the Medical Spa, located at GMC II Building, Barleta Street, San Pablo City. For inquiries, you may reach them via the Lioele San Pablo City Facebook page. I've tried this din before sis, mga 4 years ago na. Ganda ng finish kasi dewy sakin pero problem ko nagka pimples ako. Hope maka review na ko ng bb cream one of these days. Kung dati nag blog na ko sigruo dami ko na share na brands and variants. You do a great job with your reviews. Especially on this one. The container of the BB cream is kind of unique. Thanks for sharing. I've never heard of this product, but I must confess I don't wear make-up, haha. The packaging is neat. I'd buy it as a gift. I must say that I am a HUGE fan of BB cream. It's really cleared up my face a lot and hides my blemishes AND seems to stay on all day! This is great. I would definitely try something like this. Thanks Czjai! I have seen lots of BB creams by many manufacturers but this one looks so good on you. I would buy it in hopes that I would look as good as you. Well I live no where near you and have never heard of this brand before. It does sound good and that it works well from what you wrote. It's nice that they come in various sizes so people can purchase based on use. BB creams from Korean brands work better on our skin. Your skin looks perfect on the photo. I wonder if they can have another variant with SPF. Ikaw na talaga ang BB Cream queen sis. I think I tried this before, Multiply days pa, I bought samples. BB cream is doing great,already read some good review from various blogs. The sample sachet is very cute. Something you can put on your scrapbook. haha As for the BB Cream sounds promising but sad no SPF. I'm currently trying to cut down on my existing products but I can never resist a good BB or CC lol. Lioele is definitely on my list. The natural beige seems to be my shade.